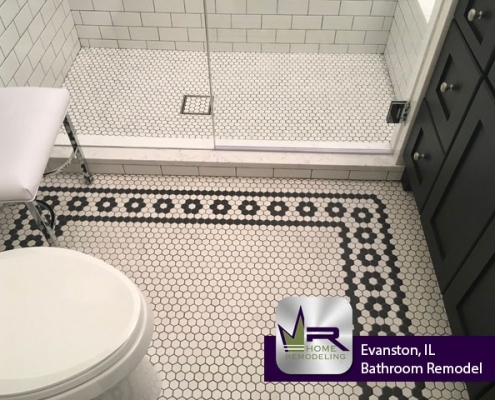 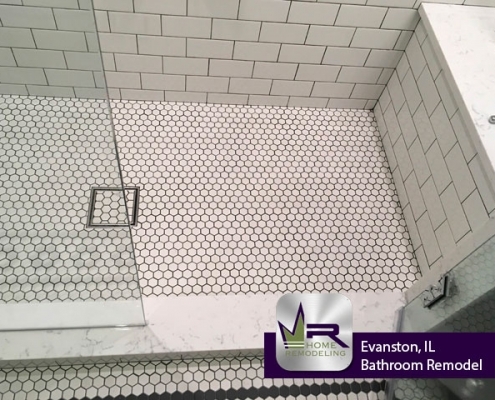 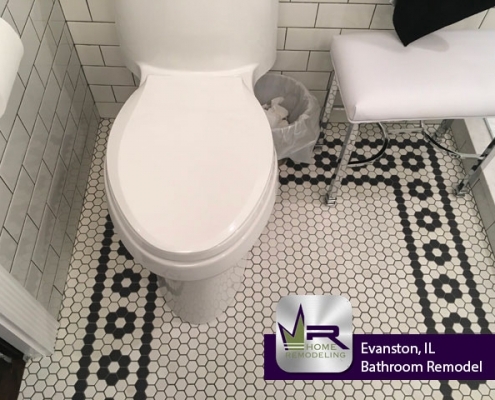 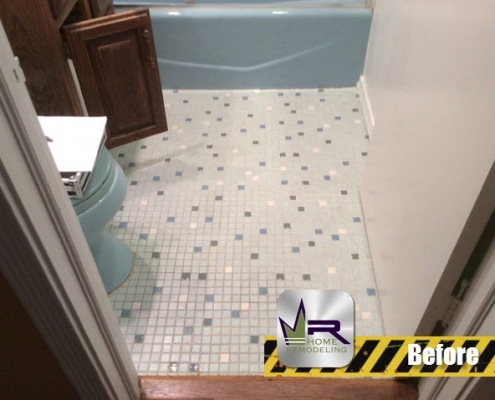 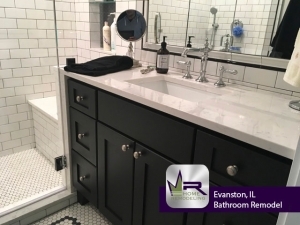 This dated Evanston bathroom was calling for Regency Home Remodeling to bring it some life. 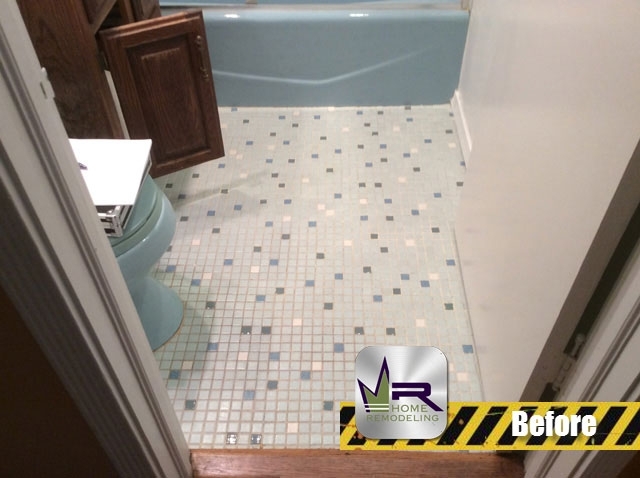 It was time to rid with the blue tiling and install something more stylish and elegant. 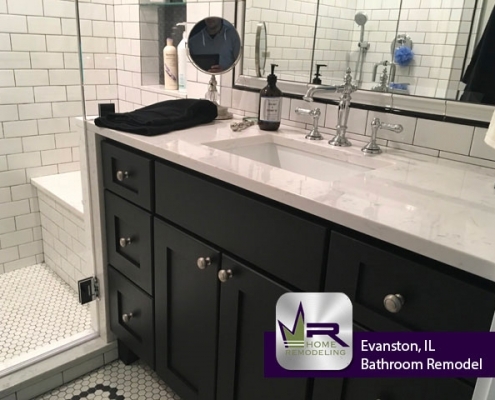 The new black and white color scheme creates the feeling of a luxurious atmosphere, which was achieved by installing Rittenhouse Square White tiles and Keystone D617. 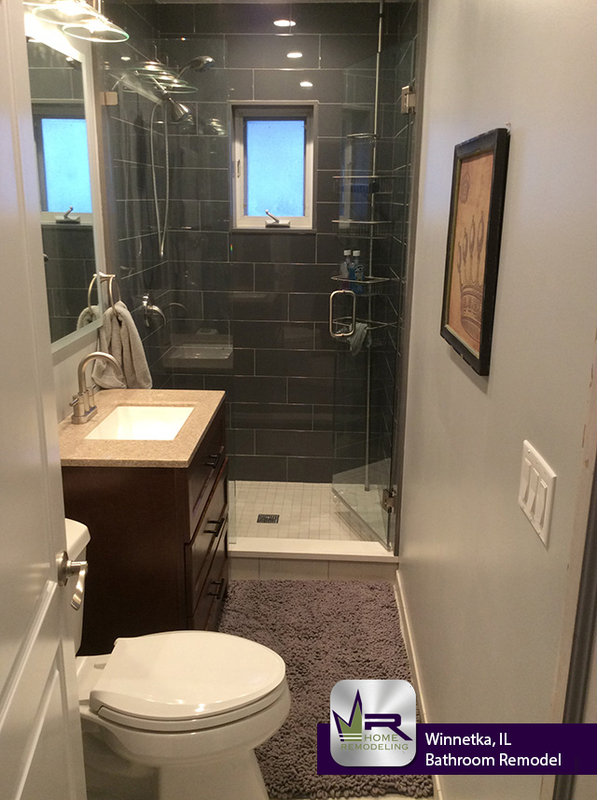 If you’re interested in getting this look in your own home, see the next page for the rest of the items used! 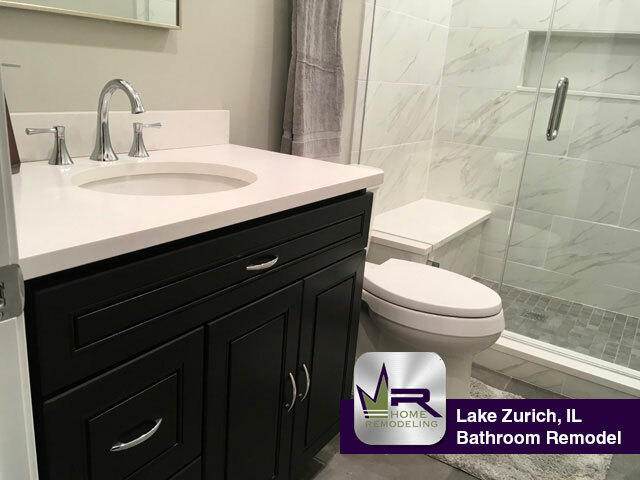 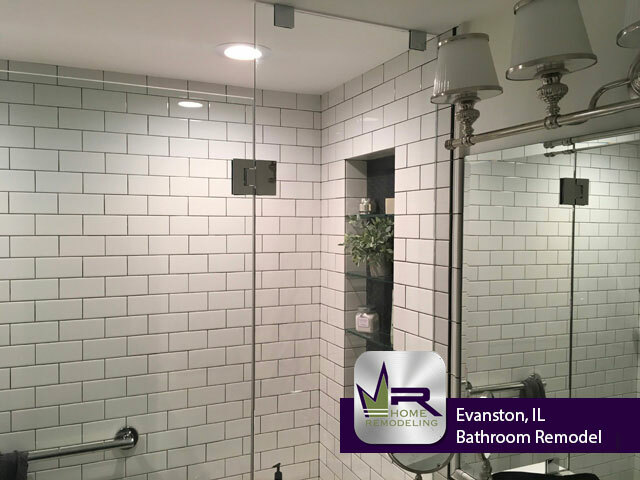 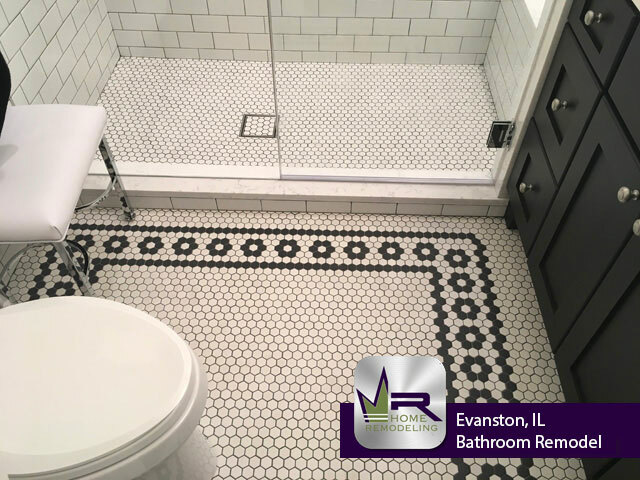 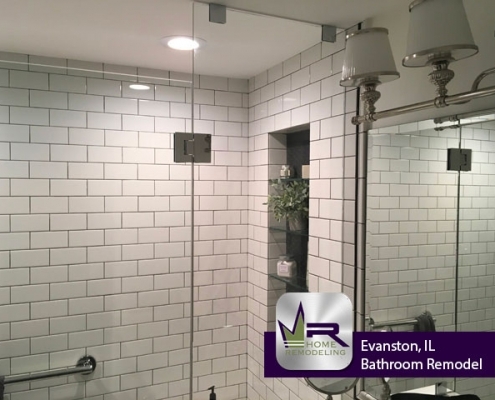 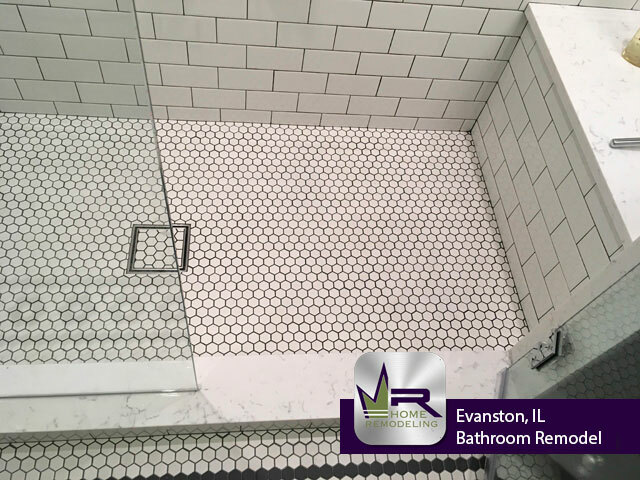 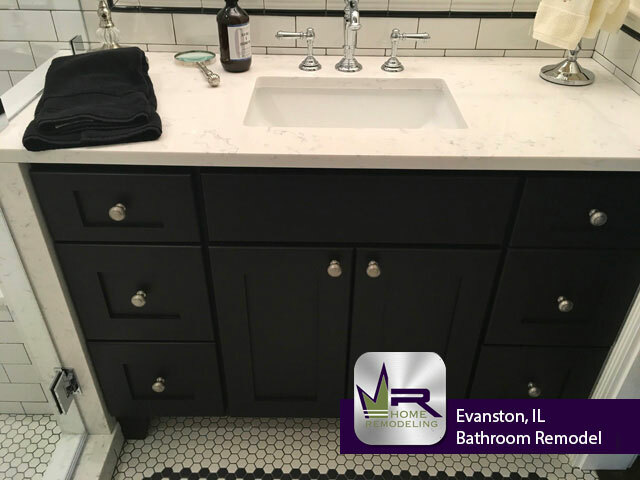 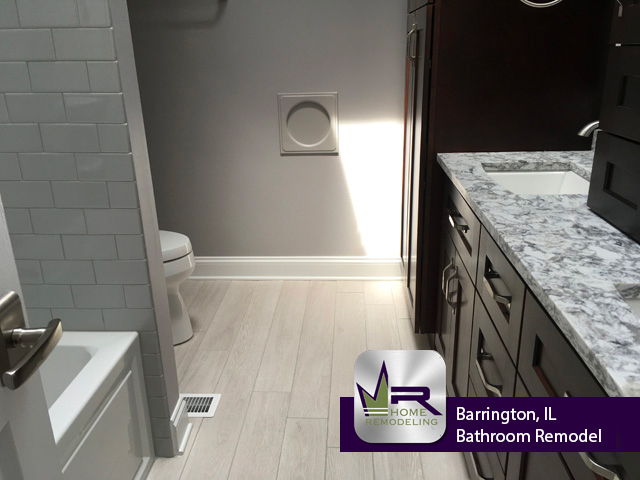 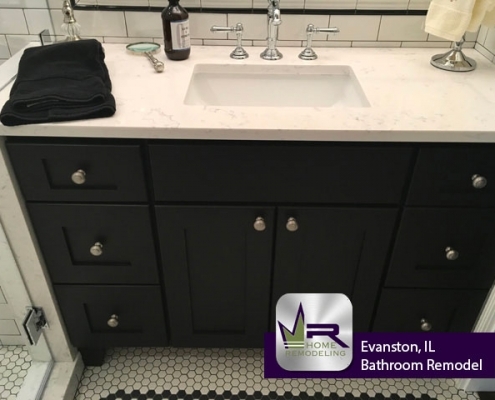 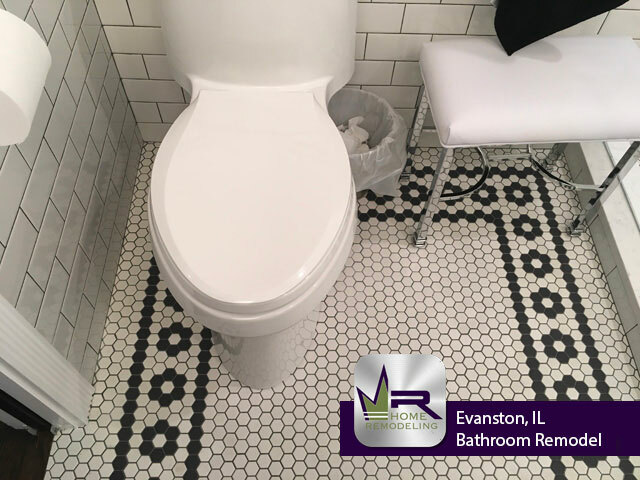 If you want a Bathroom Remodel in Evanston, IL call the experts in home improvement, Regency Home Remodeling, at 1 (773) 930-4465.